You are here: Home / Health / Honey-Do or Honey-Don’t? Does honey have any health benefits? Let’s find out! Honey, A.K.A. liquid gold, has many medicinal properties and has been used for centuries to help with a number of illnesses. It is loaded with anti-fungal and antibacterial properties. There are two categories of honey: Raw and Pasteurized. Pasteurized honey is a no-go as far as health benefits. This “dead” honey lacks all of the beneficial vitamins and enzymes among a host of other natural constituents because they are all removed in the pasteurization process. This is the honey you see primarily in grocery stores, and many brands that sell this processed honey have absolutely no traces of pollen in their honey… yikes! The FDA calls pollen-less honey “not honey”, but they aren’t exactly checking it to make sure it’s honey, honey! 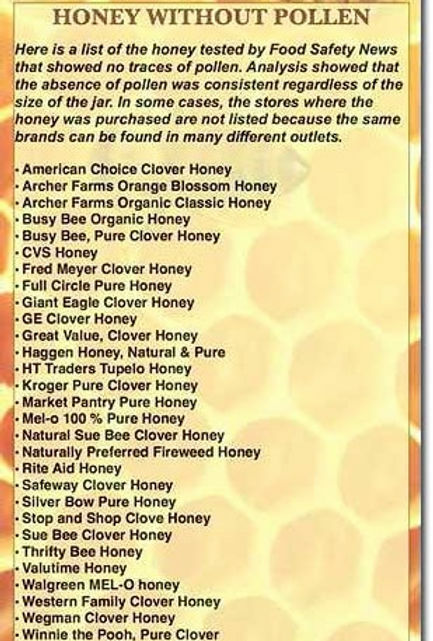 (I’m attaching a list of pollen-less honey brands… might be worth taking a look at). Raw honey is what you want. It is amber colored and has traces of pollen and wax. By consuming local raw honey, you get a homeopathic dose of pollens from your area that helps immunize against allergies.Certified organic raw, unfiltered honey is what is recommended for health. 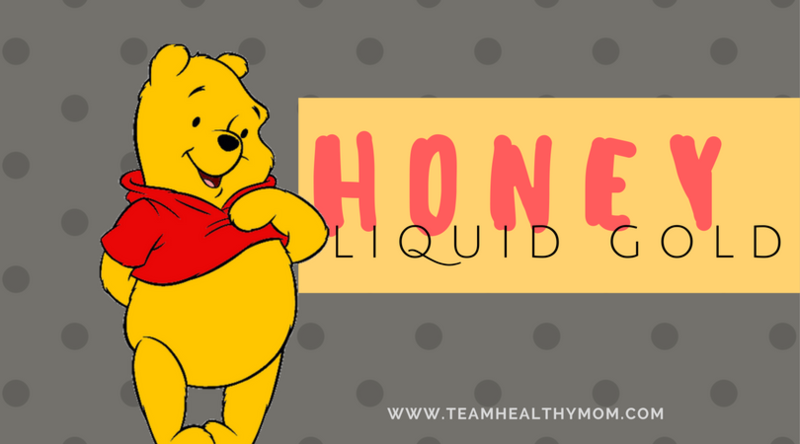 Honey’s anti-inflammatory effects and ability to soothe coughs has led to the belief it can also reduce seasonal allergy symptoms. This natural unprocessed sugar, fructose and glucose, directly enter the bloodstream and can deliver a quick boost of energy. The sweet nectar is loaded in antioxidants that may help prevent cellular damage and loss within the brain. Honey contains several amino acids, including tryptophan that is commonly associated with turkey. Honey’s steady rise in insulin causes the tryptophan in honey to enter the brain, where it’s then converted into serotonin and then into melatonin, which is a sleep aid. 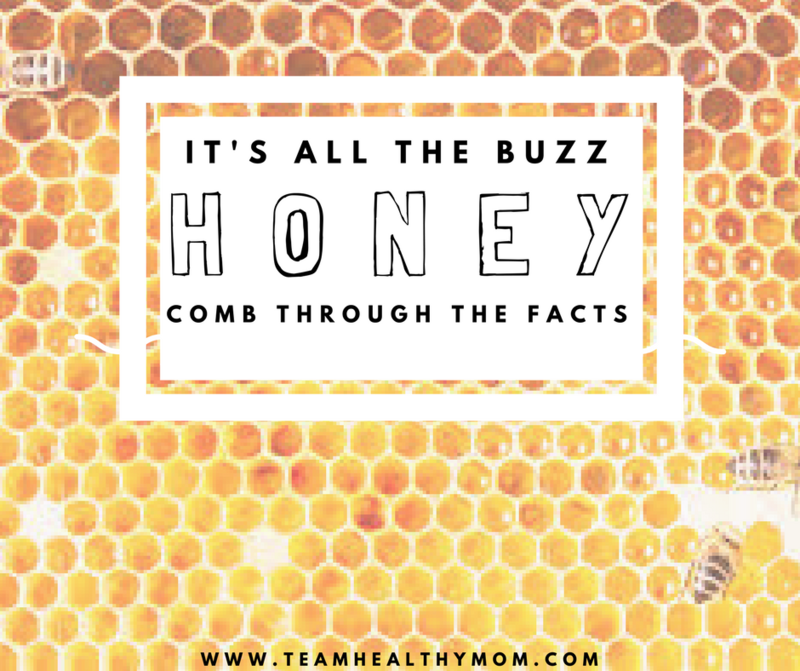 A 2001 study published in the European Journal of Medical Research found applying honey diluted with 10 percent warm water to problem areas and leaving it on for three hours before rinsing led to itch relief and no scaling within a week.It’s anti-fungal properties help the scaling from cradle cap as well. Honey is a natural antibiotic that can act both internally and externally. It can be used topically as a conventional treatment for wounds and burns by disinfecting wounds and sores from major species of bacteria such as methicillin resistant Staphylococcus aureus (MRSA). All-in-all, honey is a DO! Try to find raw, local honey. There is such a thing as too much honey, so just remember that it should always be consumed in moderation. PS: I’m still upset that Winnie the Pooh Brand honey isn’t real honey. Isn’t Pooh the staple for honey?? ?